I was chatting with a friend yesterday about how to save money on your mobile phone bill and he revealed to me that the joint cost of he and his partners mobile phone bills were topping £80 a month, and that’s if they stayed within their usage limits! After recovering from the initial shock I asked him what he got for his money expecting him to say unlimited minutes, texts, mobile data Internet, the whole package. It turned out that the joint cost of the two contracts they were paying for were not all that different to the contracts my wife and I have, which come in at around £25 a month for both. So if the contracts are pretty much the same then why is our joint monthly bill so much cheaper. The answer is simple to see when we consider the following questions that everyone should ask themselves before entering into an expensive mobile phone contract! What will I really use my phone for? Do you really need an IPhone? This may seem like an obvious way to save money on your mobile phone bill but not enough of us really ask ourselves this important question! You will struggle to get the latest IPhone on a decent contract and network for less than £35 a month. So do you really need an IPhone? I would say a large percentage of people out there, after having their new phone for a few weeks and the novelty has worn off, will no longer use their phone for much more than making phone calls and sending texts. If this applies to you, then just think how much you could save by getting a cheaper contract with a more basic phone. Not only will you save money on your monthly mobile phone bill, you will also have less need for expensive mobile phone insurance as your new phone won’t cost hundreds to replace should it go missing. It’s easily possible to save around £30 a month on your mobile phone bill by honestly answering this one simple question. If you have 2 phones in your house that’s a saving of £60 saving! So You Want A Phone With Features, Apps and the Rest? There Are Cheaper Options! IPhone really has taken the world by storm and the social standing that seems to come with owning an IPhone is what many people pay for. The truth is there are phones out there that do almost everything an IPhone or HTC can do at a fraction of the cost! My wife recently got a contract from Affordable Mobiles* for just £13 a month which included a Samsung Galaxy Ace. Although some features or apps are only available on an IPhone, the Samsung really has everything my wife and incidentally my 3 year old son (who is sat here playing angry birds as we speak) could ever want. When you consider that over a 2 year period she will save about £600, the few missing apps only available on an IPhone suddenly seem irrelevant! Shop around and play your loyalty card! So you’ve hopefully now decided you want to save money on your mobile bill by getting a phone that fits your needs, rather than what everyone else says you need! Does the money saving end there? No! Competition is fierce in the mobile industry and you’ll be amazed at the deals that are available if you spend a bit of time shopping around. You’re probably going to be tied into your new contract for the next 18 months or so, so why not spend a few days shopping around for the best deal. Search the internet thoroughly to find the best deals around. Once you’ve found the best deal you may still be able to beat it by playing your loyalty card! If your contract is coming up for renewal get on the phone to your existing mobile phone company and tell them your looking to save money on your mobile phone bill! Tell them the deal you’ve found and ask them if they can beat it. If you don’t get the desired result instantly don’t be dismayed, be patient and persistent. Give your 30 days notice on your contract and wait for them to get back in touch with you. Many mobile companies have different customer retention departments that are able to give you a better offer than the first person you spoke to! Another way to save money is to insure your mobile phone through an independent mobile insurer rather than your mobile phone contract provider. See how much you could save by getting a quote from one of these sites. 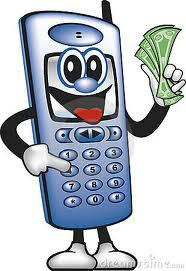 I hope you enjoy your next holiday paid for by the money you will now save on your mobile phone bill! Old Mobile Phone – Should I sell it to Mazuma?